"At sixteen, Princess Charlotte falls in love with an Austrian archduke, Maximilian of the House of Habsburg. Soon enough, she finds herself enmeshed in the cruel and unpredictable world of international diplomacy as her marriage founders. 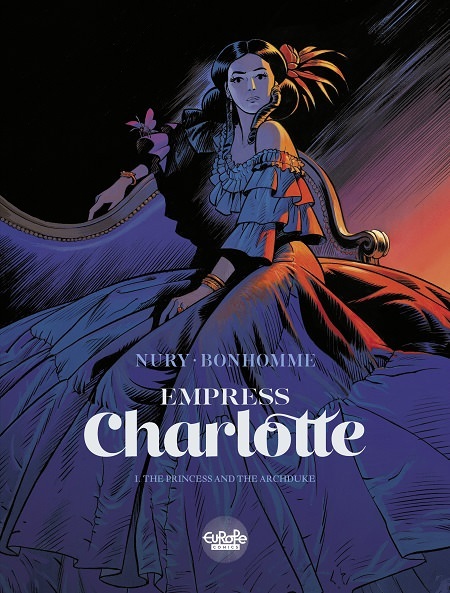 Increasingly shrewd, naïveté and idealism replaced by practicality and skepticism, Charlotte will help ensure that she and Maximilian are sent to Mexico to reign as emperor and empress…"